SCSM 2015? Yes, we know it’s 2018, but if the journey is always the same then why don’t we learn from someone who has already undertaken it in 2015 ? It will be such a shame if we did not explore the experience Chris has had, because only he who has travelled the roads knows where the holes are. 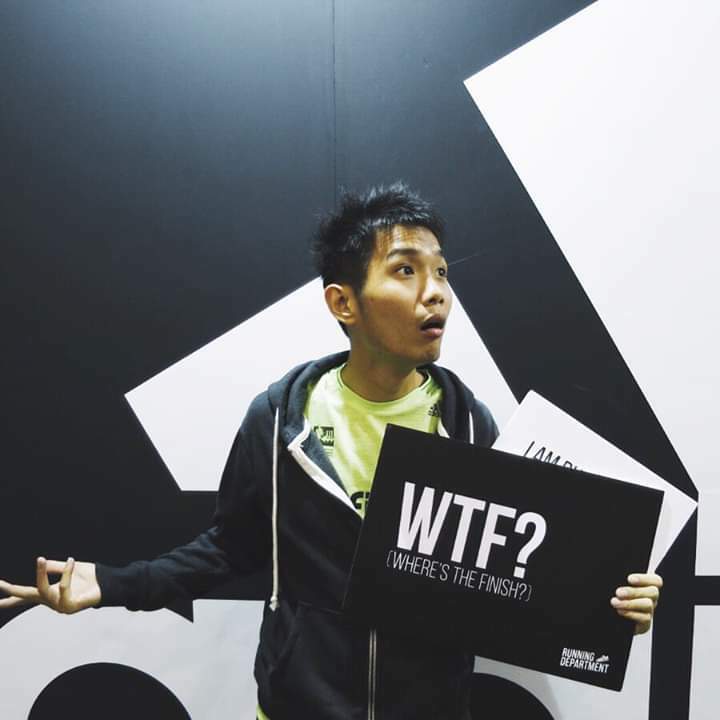 So, let us go down Chris’ memory lane and learn from his SCSM 2015 experience. The day before the race, the highlight of the day was pasta-filled dinner with his fellow pacing friends, making sure everything he needed was packed and ready. He was tucked in bed by 9 PM that day. Pasta is his usual pre-race dinner, as it is high in carbohydrates. On the race day, Chris was up by 2 AM as he had to reach the race site by 3 AM. 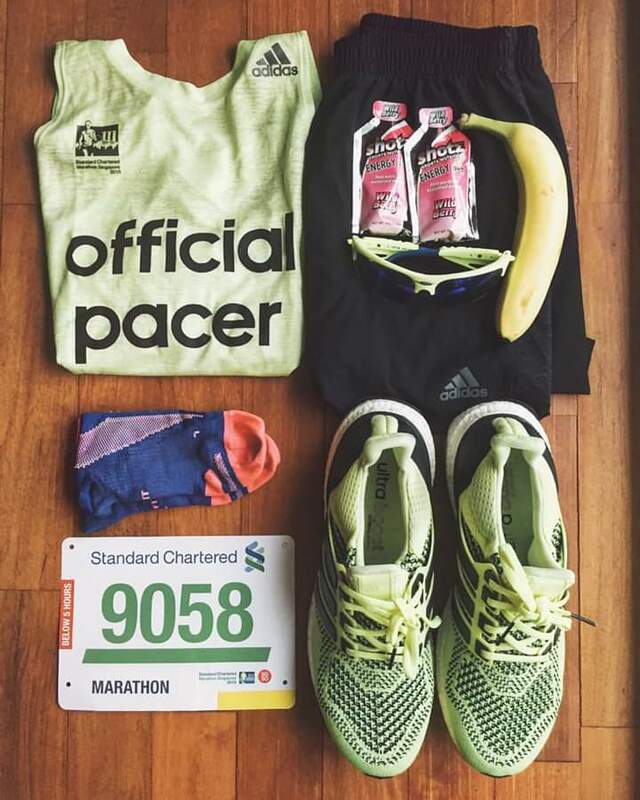 Since he stayed in a hotel room near the race site, he jogged towards the meeting point where all the pacers gathered before the race. After tying the balloons and giving each other pep talks, it was almost time for flag off. The horn sounded, signaling the start of the race. As Chris and his team mates had been training hard for 18 weeks or so, this felt almost like routine, except that there were hundreds of runners following them this time. The first stretch was all about getting the rhythm and form. It was also important for pacers not to be overwhelmed by faster runners whizzing past them, as the pacer’s strategy is to run at a constant 6:40 min/km throughout the race. I am sure you have guessed, they were 4 hrs 45 mins pacers. The next segment of the race was at East Coast Park, which was a familiar sight for the pacers, as that was where they have spent hours training for the marathon. 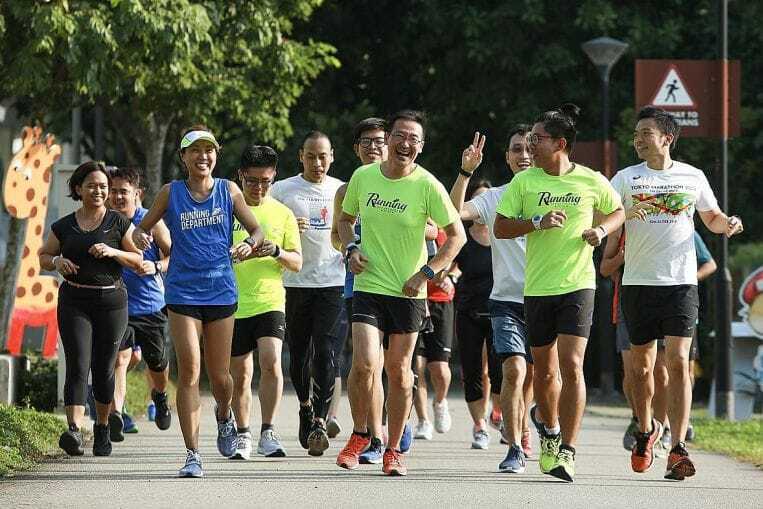 As they reached ECP, they were greeted by one of the entertainment groups planted along the race route, a musical duo belting out popular tunes to encourage runners along. You can expect your race this year to be similar, with entertainment groups to encourage you and lift your spirits as you run! 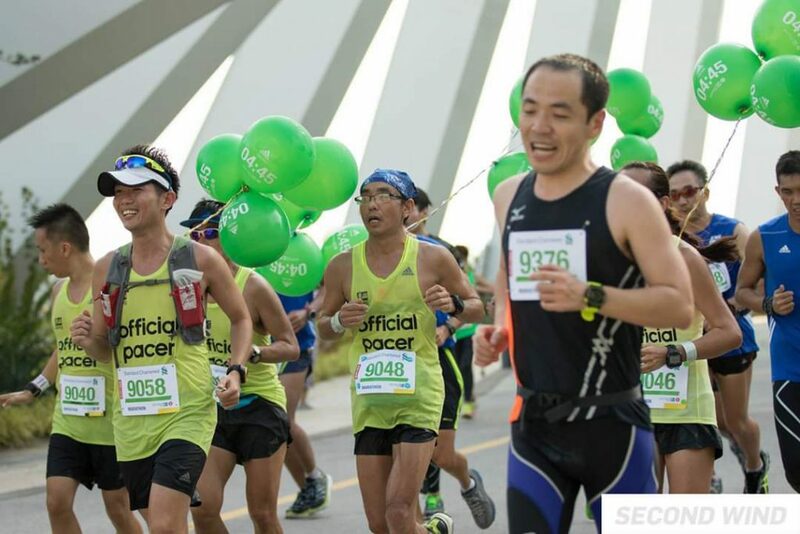 The east coast park stretch covers more than one third of the race, and could be long and arduous for many. Knowing this, Chris and his fellow team mates started to engage with the runners to hopefully get their minds off the monotony of this stretch. He highlights that at this stage they had to seek comfort in their training that would see them to the end. Although their energy was slowly but surely fading, it is something they were mentally prepared for. Knowing what to expect often reduces your anxiety. As they all say, the race really starts at the last 10km of the marathon. Chris and team also started being really enthusiastic, never stopping to engage and cheer the pacees on. 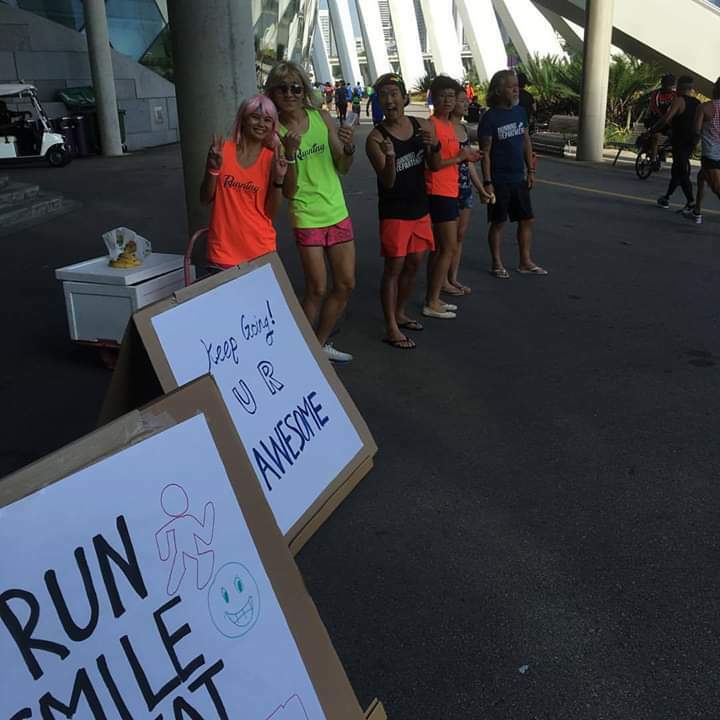 This is one of the perks of following pacers during race day; other than helping with keeping pace, pacers also help keep runners motivated during the race. And little did the runners know, Chris had planned a surprise for everyone. 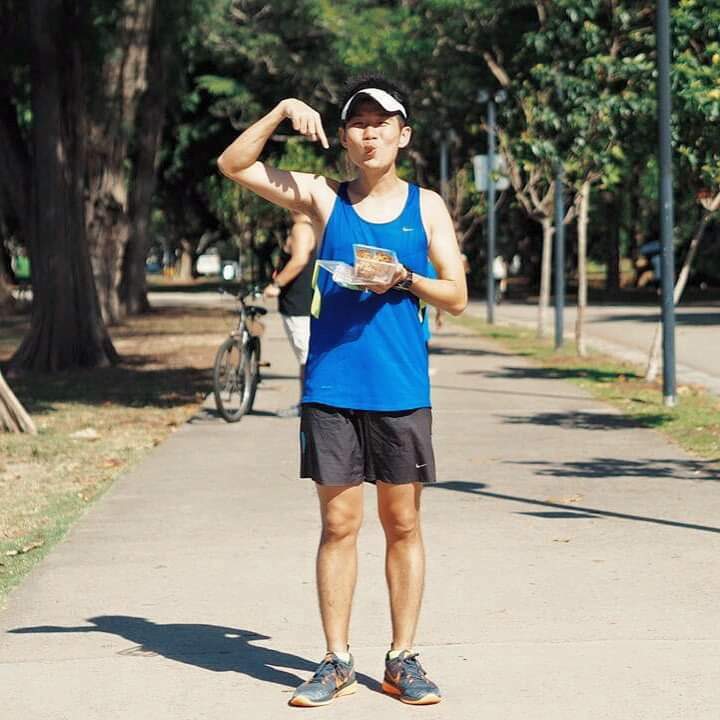 He had asked his friend, also a member of Running Department, to pass him a speaker, with a carefully curated playlist of upbeat songs, to blast to everyone during the last few kilometres of the race! To him, this was really the highlight of the race, where everyone was feeling relaxed, chatting, singing, and even doing the hand gestures to popular songs like YMCA. 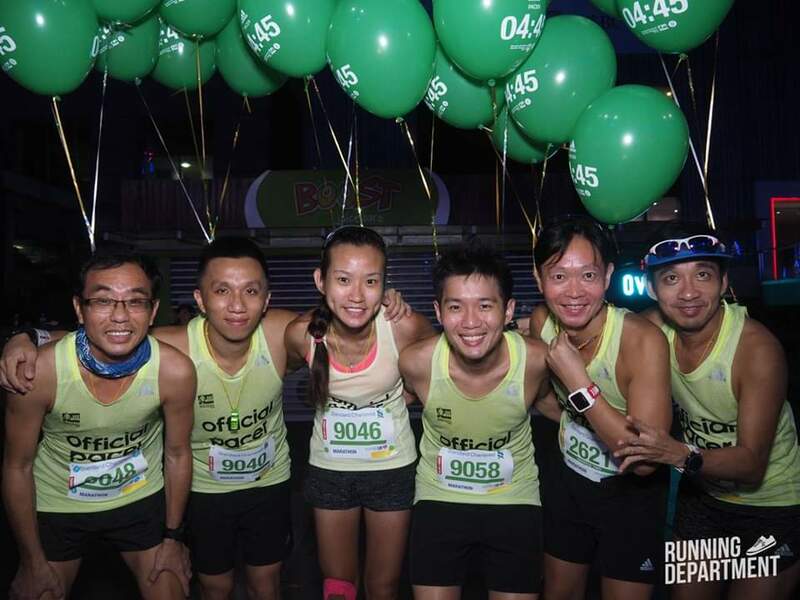 This feel-good vibe remained in them all the way till the finishing line. The whole pacing experience was not without difficulties. That particular year, the serious haze was a huge obstacle to training, and they had to train up to 33 km indoors. During the race, Chris also felt a discomfort in his right quad muscle, which thankfully held up till the end, and also reminded him of the unpredictability of races. There are many gems in this story. Truth be told, cognitive learning doesn’t always cut it and we can learn a lot from someone else’s experience. When you are running SCSM 2018, we are hoping you will scan the signals of change and react effectively because this story has taken you through the journey already. And the journey dear runners, is always the same. See you at the races!